Is it just me, or did this week seem like a strange week? From self-lacing shoes failing to work to folding phones being a thing again to a guy named Bowser being named the president of Nintendo of America, I feel like I’ve stepped into some weird alternate dimension of my childhood. That being said, I have to admit that Pictionary Air looks at least mildly entertaining. Every part of our business world is being changed by AI — even the way in which we communicate. Marketing and CX enter the age of machine learning, but are businesses ready? - Brian Solis, The Next Web, February 21, 2019 There is no longer a delineation between digital and traditional customers. Anyone with a smartphone traverses between online and offline activities without a second thought. To engage today’s customer takes a modern approach to marketing where advanced technologies and customer optimization converge. Fortnite’s Marshmello concert was the game’s biggest event ever - Andrew Webster, The Verge, February 21, 2019 When Marshmello took the stage inside of Fortnite earlier this month, it wasn’t just a glimpse of the future — it was also the biggest moment in Fortnite’s history. According to developer Epic Games, 10.7 million people attended the concert. Robotics, AR and VR are poised to reshape healthcare, starting in the operating room - Jonathan Shieber, TechCrunch, February 21, 2019 Speculative technologies are increasingly entering medical service. Almost half of UK consumers use retailers’ apps for notifications about promotions, study finds - Paul Skeldon, Internet Retailing, February 22, 2019 Nearly half of UK consumers who use retailers’ apps do so to get notifications about promotions, finds a study by GlobalData. Looking to Technology to Avoid Doctors’ Offices and Emergency Rooms - Janet Morrissey, The New York Times, February 21, 2019 New medical and diagnostic tools could put patients more in charge of their own care — eventually. 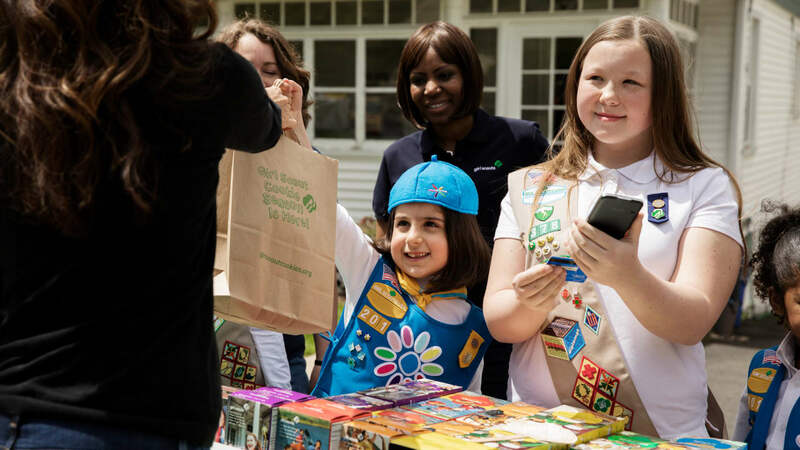 In these modern times, even Girl Scouts are going cashless for cookie sales - Melissa Locker, Fast Company, February 20, 2019 National Girl Scout Cookie Weekend 2019 runs from February 22-24 (so this weekend, folks). No longer will you be able to use the, “I don’t have any cash on me” excuse to keep yourself from buying a box (or three) of Thin Mints or Somoas.